Raw, cold, and dreary Traditional Doom with some unique twists and turns. 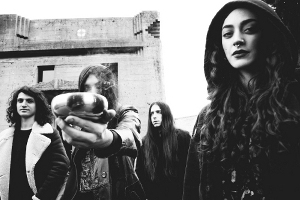 The band cites a versatile list of influences, ranging from the likes of Windhand and Pentagram, to Bathory and even Bohren Und Der Club of Gore, and the wide range of ideas shows in a style that is eclectic, yet cohesive. The guitar lines are melodic, bluesy, and go into some rather progressive lead solos at times, with tempos ranging from morose Doom drags to more classic Heavy Metal peaks. The vocals consist of sultry female leads, which sound pleasant, yet melancholic. The songs themselves seem to alternate between straightforward Metal tracks to mysterious Drone and Ambient pieces. Overall, Messa are a very unique and fresh addition to the Traditional Doom realm.